We’re celebrating Asian American and Pacific Islander Heritage Month by shining a spotlight on scientists whose work changed the world. These scientists share a common heritage that traces back to Asia or the Pacific Islands, but they share more than that—each of them had a passion for science that drove them to make history. Join us as we celebrate these figures all month long. If you look back at the history of human genetics, it’s fascinating to learn how we once struggled to understand concepts that we now consider foundational. Counting is a good example. Though the first half of the 20th century was a golden age for genetics, researchers were having trouble counting the correct number of chromosomes in human cells. In fact, for 30 years, the wrong number—48—was repeatedly counted and confirmed. 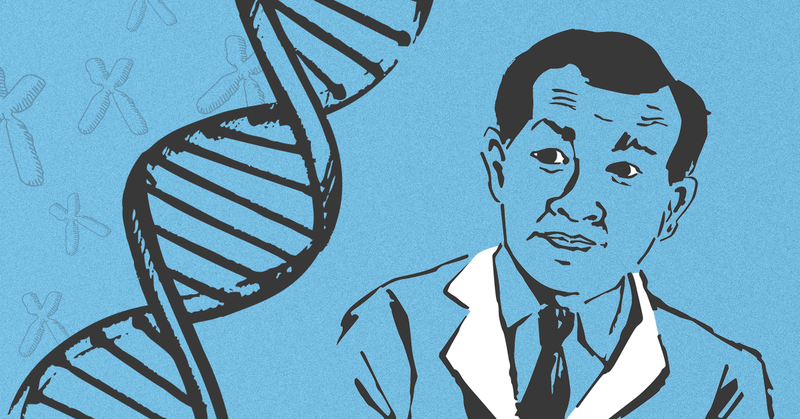 But in 1956, Dr. Joe Hin Tjio showed the world how to accurately count chromosomes, and in doing so set the stage for numerous medical advancements. Dr. Joe Hin Tjio was born in Java, Indonesia in 1919. He grew up playing with a camera and studying various aspects of agriculture. Early in his scientific career, he gained recognition as a skilled cytologist. Cytologists focus on the cell as a whole and primarily work by preparing cells and tissue for microscopic analysis. Dr. Tjio built on his love of science and photography by learning how to prepare tissue samples for microscopic imaging and analysis.2 These skills are what allowed him to discover the correct number of human chromosomes in 1956 and put an end to nearly 30 years of scientific inaccuracy. Having survived imprisonment and torture during World War II, Dr. Tjio was a tough and resilient scientist.1,2 That mettle proved valuable in his career as he was willing to question what most scientists accepted as fact, disproving a long-held misunderstanding in human genetics and helping advance the field to where it is today. 1Harper, Peter S. “The Discovery of the Human Chromosome Number in Lund, 1955–1956.” Human Genetics, vol. 119, no. 1-2, Apr. 2006, pp. 226–232., doi:10.1007/s00439-005-0121-x. 2Gartler, Stanley M. “The Chromosome Number in Humans: a Brief History.” Nature Reviews Genetics, vol. 7, no. 8, 2006, pp. 655–660., doi:10.1038/nrg1917.